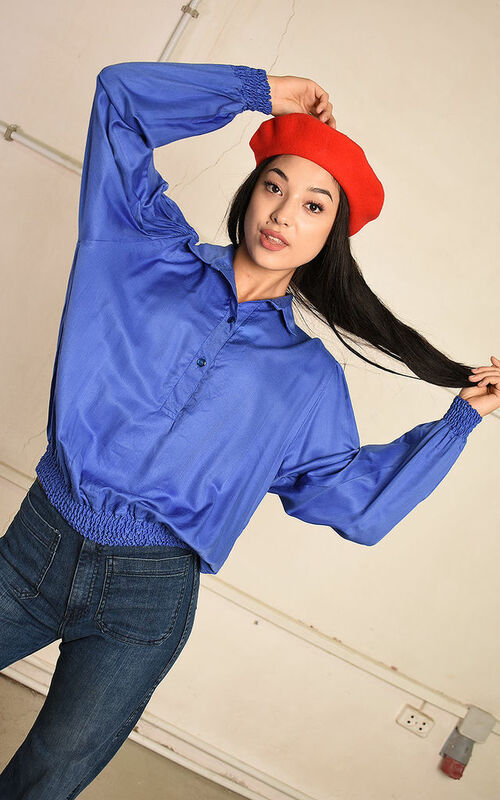 Cute vintage 80's retro festival Paris chic blouse top. Buttons up, loose-fitted, gathered bottom, great condition - signs of age/wear appear. Size fits UK 12. The model size is UK 6-8. Length - 64 cm, bust - 128 cm. 60% viscose, 40% polyester. Delicate wash. Please take a look at our other items! Size fits UK 12. The model size is UK 6-8. Length - 64 cm, bust - 128 cm.